What is it?- The bone that sits below the eye (infraorbital rim) will atrophy as we age. 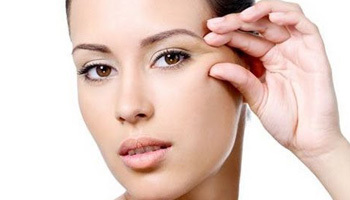 When we begin to age, the fat pads below the eye then bulge forward which in return creates the appearance of an eye bag. You may also see dark shadows that appear under the eye area.This concave, obliquely-oriented groove has been named the “tear trough deformity. My patients who present at the clinic with tear trough deformity often complain of dark circles or a tired, aged, and/or aesthetically-displeasing depression in this region. The skin is thoroughly disinfected with a chlorohexadine solution and a topical anaesthetic consisting of lidocaine is applied to the area. We then apply finger pressure to flatten the injection area. You will then have a series of skin marking applied to the face prior to injections. A 1″, 27 -gauge blunt tip cannula is inserted through the skin at the most lateral extent of the tear trough, advancing fully and potentially indenting the skin with the hub for full reach. We will use an FDA approved HA dermal filler to inject the product deep to the preperiosteal plane. The area is then inspected, and additional passes are made as needed to yield a smooth contour. Post treatment the area is massaged lightly, compressed with finger pressure and a post anti microbial cream is applied. The ideal candidates for tear trough deformity treatment are any patients who are diagnosed with the condition and desire a solution to the problem. Ideally patients under the age of 55 are best suited however treatment may still be performed over this age. . Treatment can be performed on both adult females and males who are in good general health and do not have excessive fat accumulation under the eyelids. You may be advised that this is a good candidate for surgical removal and if so a referral can be made to our recommended plastic surgeon. Treating the tear trough can be a very effective if the right candidate. Volume loss is best suited and changes in volume around the eye. It cannot however remove excess skin from under the eye or discolouration in the eye area. Ask us about other treatments to treat discolouration and eye bags. Dermal fillers last approx 9-12 months before they are biodegraded by the body. The lower eyelid will usually tend to retain HA filler much longer, with a few years not being uncommon. When the hollow area under the eye appears again this is a good indication to repeat the treatment. 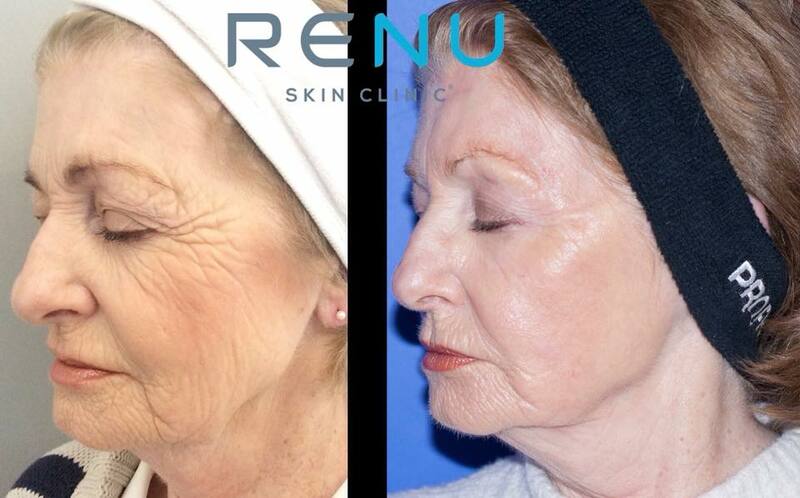 At our clinic we are known to only use FDA approved dermal fillers such as Restylane, Juvederm and Merz. We use dermal fillers with the highest clinical data ensuring we offer the safest and best method is used to treat you. All of our dermal fillers are completely HA based and reversible if required. You will receive a full Visia generation 7 skin analysis and Vector 3D analysis with a print out of your results.